The 'I Can' Lady cheers on local teachers! With a name like Mamie and a barrel full of jokes and good humor, how could a person not cheer on local educators? The multi-district gathering of school faculty and staff held Monday, Aug. 15, took place to provide a final boost before the first day of school for the 2011-2012 semester begins. Mamie McCullough, a motivational and inspirational keynote speaker known as the "I Can" lady and author of several popular books, including I Can. You Can, Too!, Get it Together — And Remember Where You Put It, and I'm Not Waving ... I'm Drowning made a stop in New Boston to speak to the New Boston Independent School District (ISD), Hooks ISD and Avery ISD staffs. With her own inspiring story of overcoming poverty and grief, Mamie asked teachers to make a decision to begin this year with a winning attitude and view each student as a possibility. 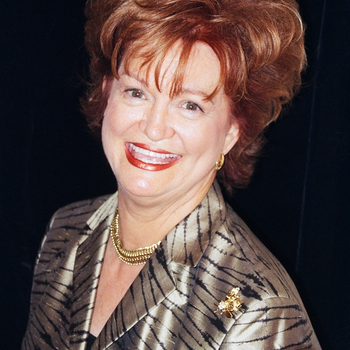 McCullough, who grew up as one of nine children in a poor family who lost her father and was forced to grow up on welfare, overcame many challenges and eventually became Mamie McCullough Ph.D.
To book Mamie for your next School or Company Event go to - http://premierespeakers.com/mamie_mccullough.